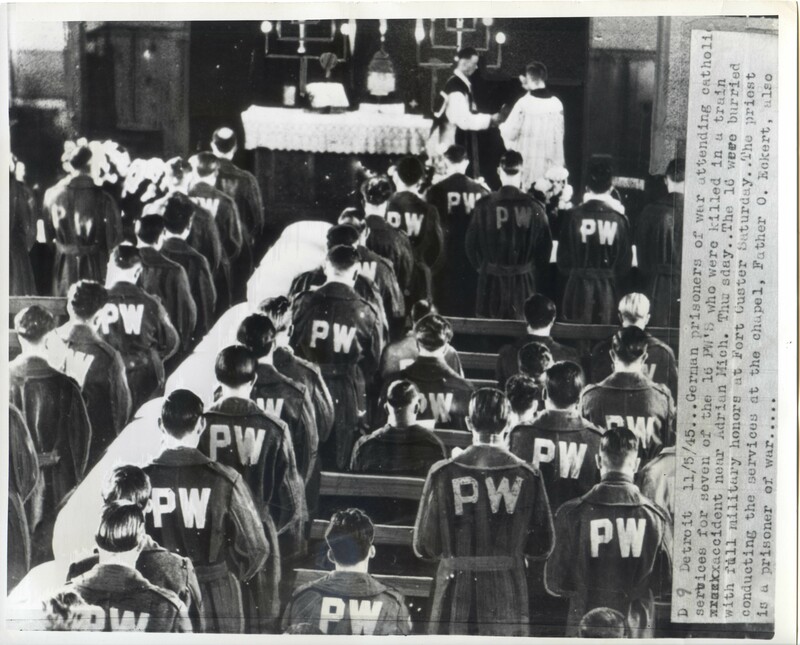 Sunday religious service by Lutheran chaplain on board ship from Deutschlands Ehr im Weltenmeer (Germany’s Honour on the World’s Oceans) by Vice-Admiral von Werner, 1902. 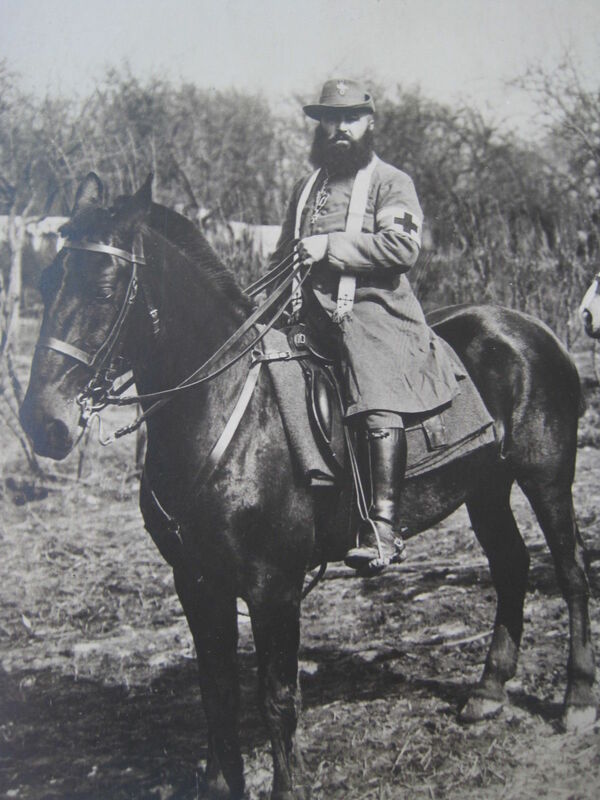 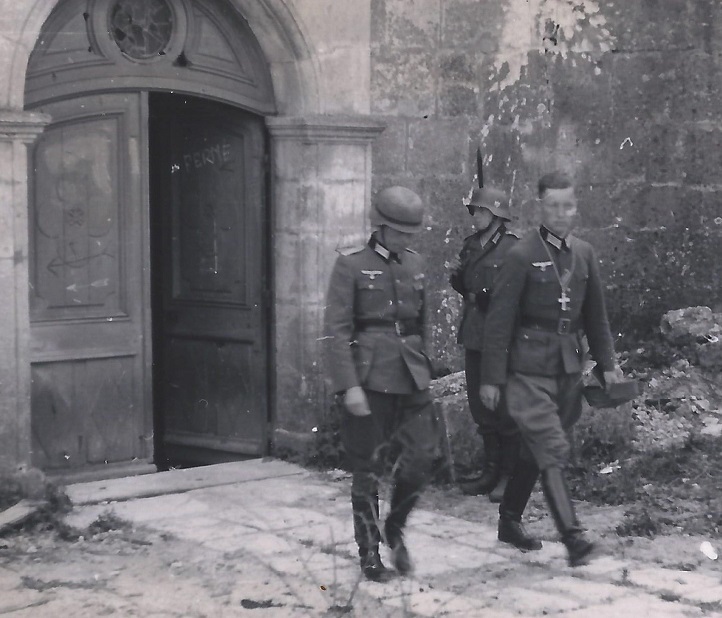 This undated photo shows a German chaplain exiting what appears to be a building used for an HQ. 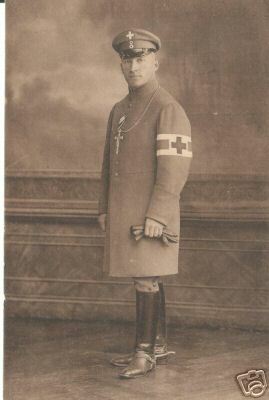 Notice he’s wearing a cross around his neck (author’s collection). 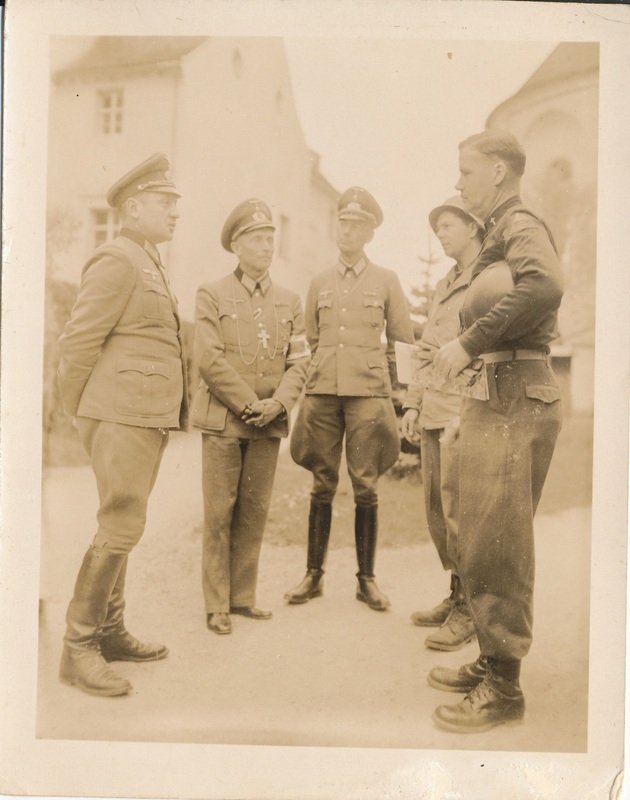 LT. Col. Crane, right, Chaplain of the 4th Armored Division, 3rd U.S. Army, talks with the Chief of Chaplains of the German Army, near Regen, Germany.” 6 May 1945 (U.S. Army Signal Corps Photo, PFC I. P. Margerum). 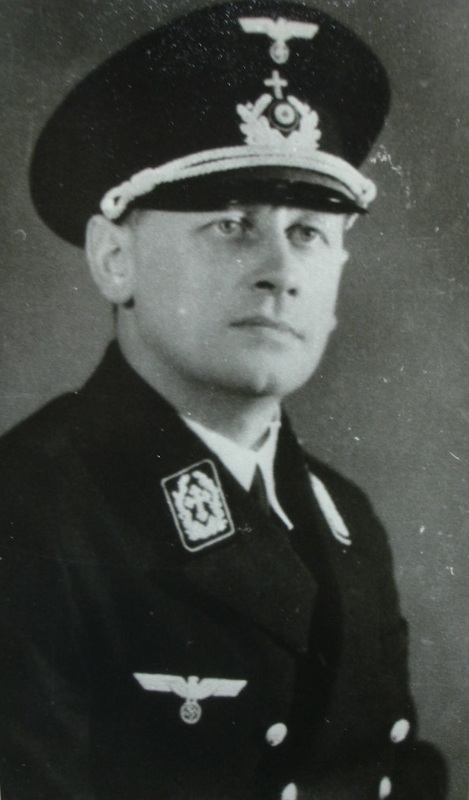 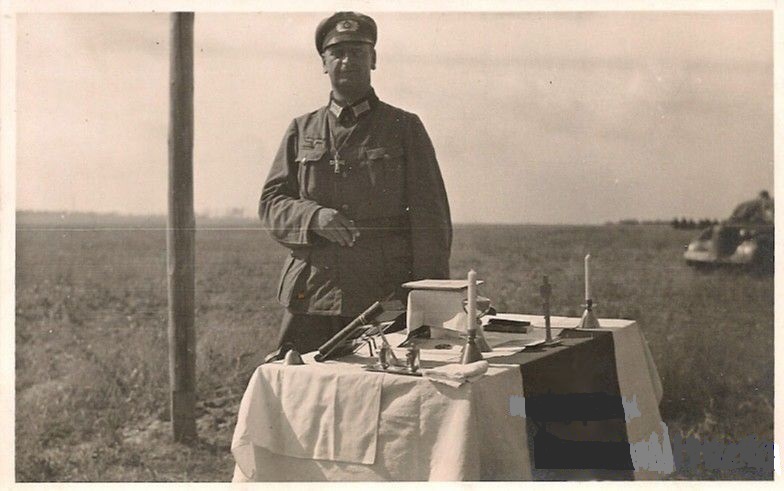 German Chaplain with Field Altar, WW2. 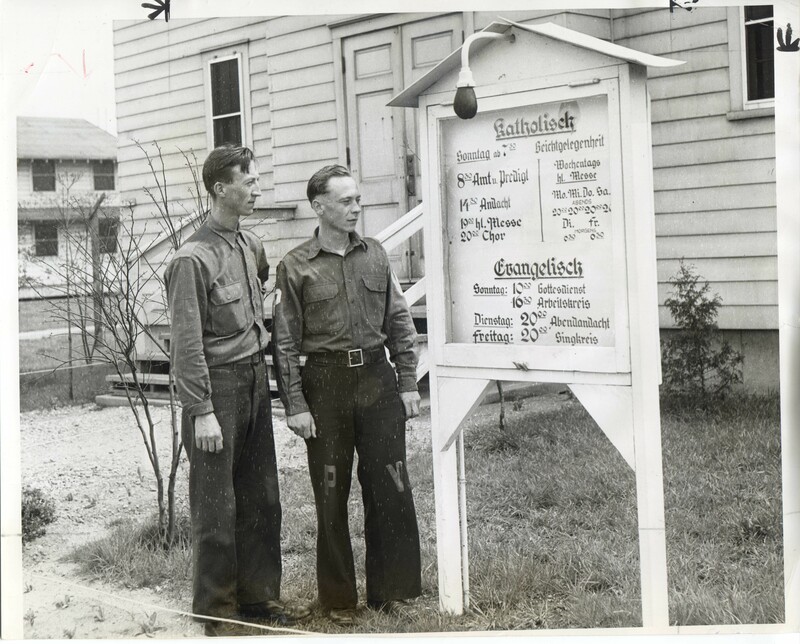 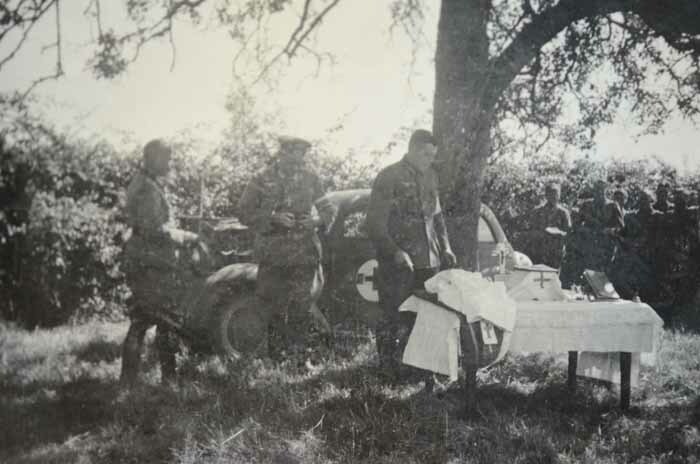 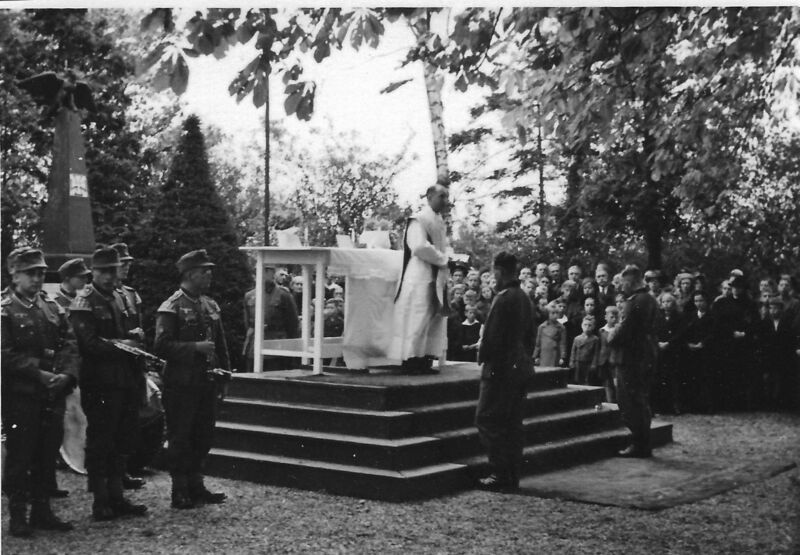 Field altar being set up for German worship service, WW2. 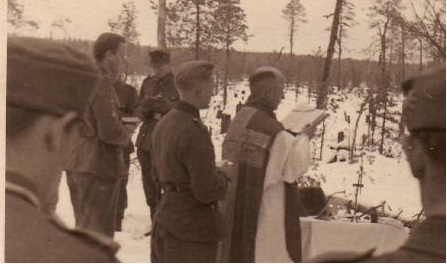 The chaplain can be seen left-middle. 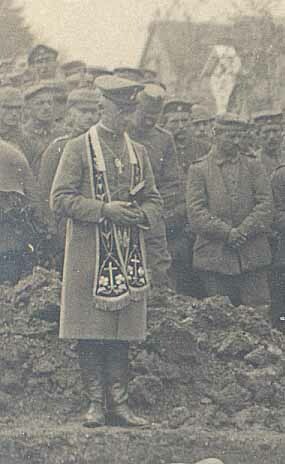 Soldier in front of altar some sort of “Chaplain Assistant” perhaps? 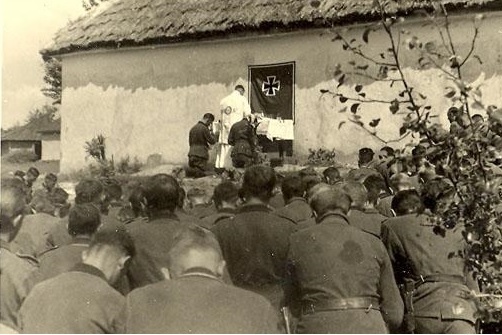 German chaplain leading worship service at interesting location, WW2. 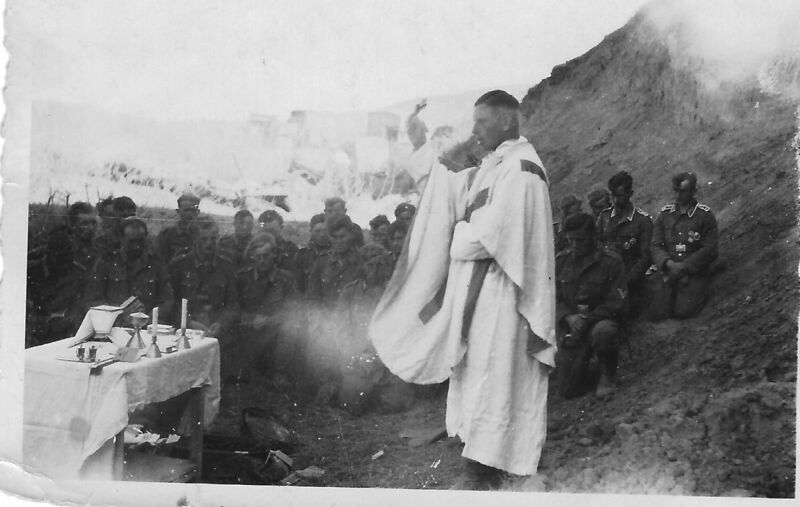 German Chaplain leading worship service with military and civilians present, WW2.